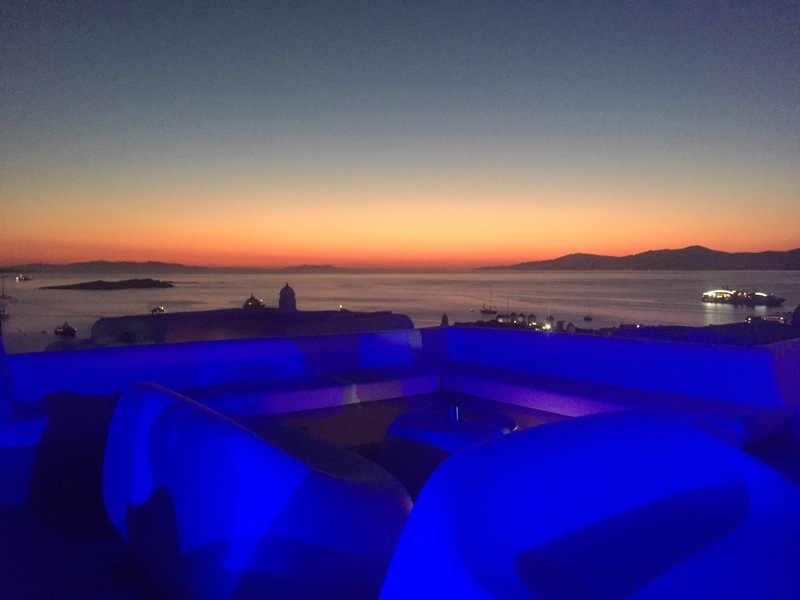 If you want to see a beautiful sunset in Mykonos, head to one place: The Elysium Hotel Sunset Bar. Guests to the Cycladic Island arrive to see the sun set into the Aegean sea and the beautiful post sunset crimson and saffron coloring that it creates. Drag queens serve as hostesses. Drinks are served on an open air terrace. White molded plastic furniture in the shape of bean bag chairs or couches dot the patio. A largely gay, international and fashionable clientele in beach-to-bar looks with tanned skin, pumped biceps and gelled hair gathers around tables trading stories of how they spent their day on the Saint Tropez of the Aegean. A DJ pumps contemporary club music out over loudspeakers as you sip your drink al fresco. Those drinks cover a wide range: mojitos, wine, champagne and the Greek liquer ouzo, among others. 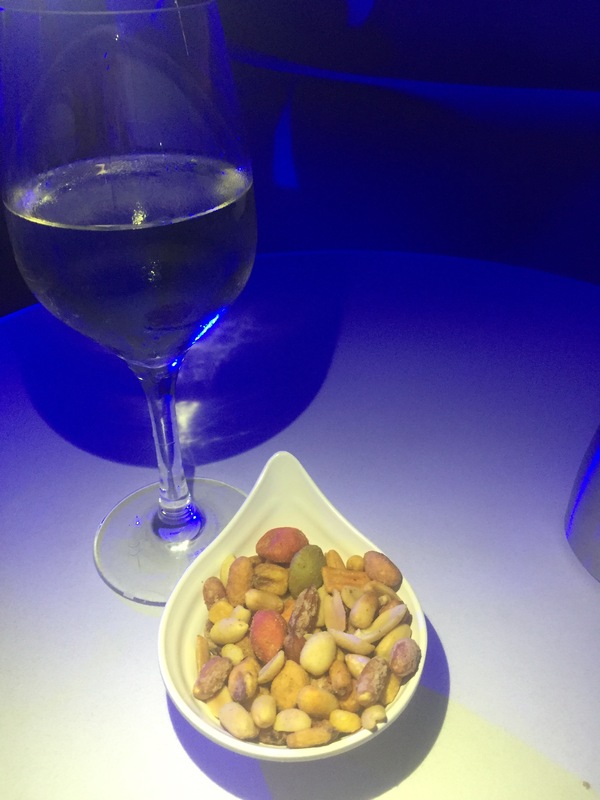 A complimentary assortment of nuts are served with your adult beverages. There are piano and drag shows scheduled throughout the night. Epiphany who hails from San Diego hosted the show with appearances by Skylar Versailles and others. 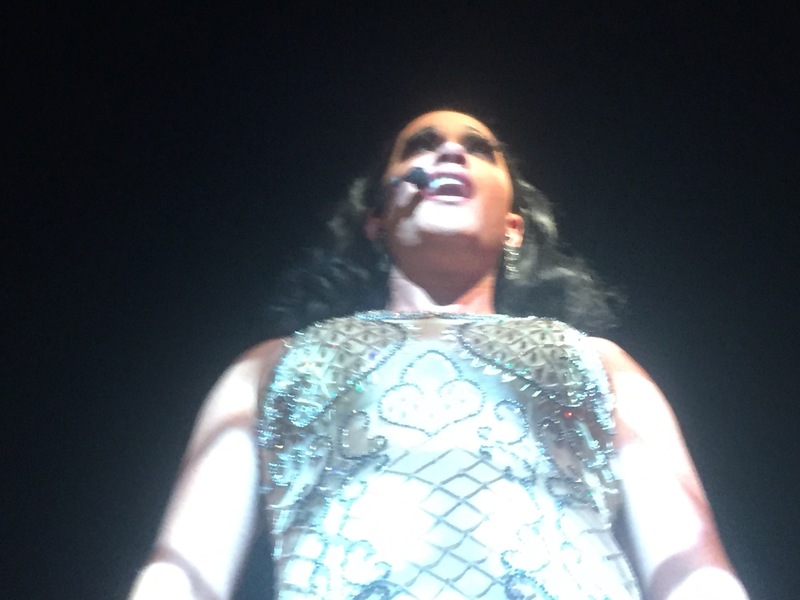 I actually caught the first half of a drag show with various acts at 9:30. The first half ended about 10:15pm. The drinks are great but the clientele seems to go more for the amazing sunsets views, conversation with friends, the drag shows and overall ambience. 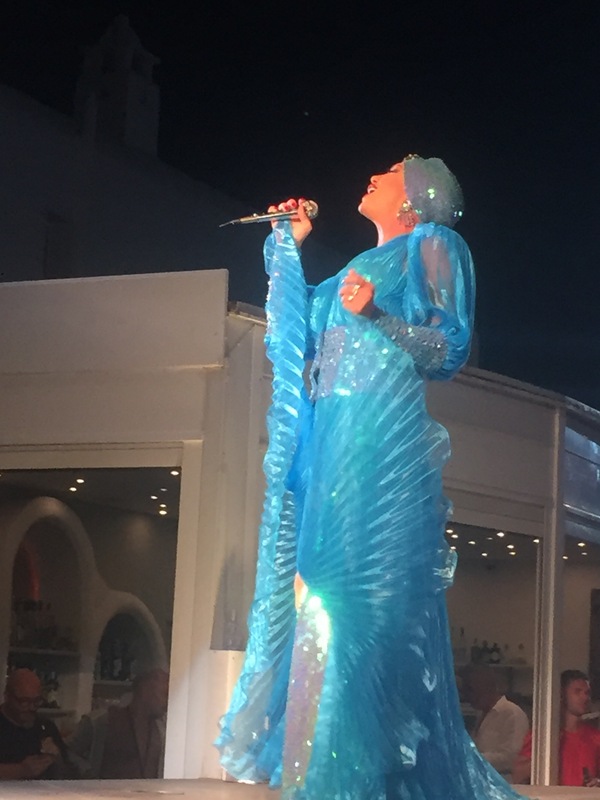 No trip to Mykonos would be complete without a visit to Elysium Sunset Bar! 😮😮😮😮😮 That sunset is everything. I would love to go here. Not for the plastic wine glasses though 😂😂. Oh the sunset was beautiful. You and I need to meet up for a drink there!